Our Ladies Pistol Classes are the same as the Defense Pistol Series courses with the exception that all the participants are ladies. These classes are a great opportunity for the gals to have fun and train together. Why not get together with a group of girlfriends, sign-up with a friend, or show up solo. You’ll have a super time and learn the skills needed to handle your firearm effectively. Phase I: Without a firm foundation you will never become a solid shooter Phase I is all about the basics. At the conclusion of this phase we will put a business card on a target edge toward you and you will split it in half! Phase II: Phase II was built around the number one rule of gun fighting: “No one stands still.” Whether you are creating separation from your target, moving to find cover, or headed down a hall to secure your children there is always somewhere to go. In Phase II we learn how to accomplish this task while engaging multiple targets and properly using cover lines. Phase III: Our goal for the student in Phase III is to begin to operate his/her weapon system on a subconscious level, and the only effective way to do this is through high intensity training. Drills in phase three include scenarios such as: shooting from the driver’s seat of a vehicle (carjacking scenario), making speed and tactical reloads, distinguishing the target…the list is endless. 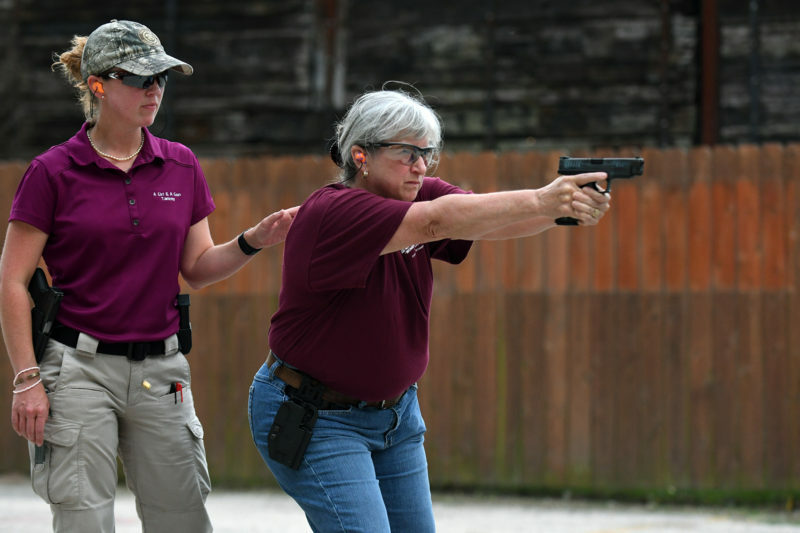 Ladies Concealed Holster Clinic: We both know you are thinking about concealed carry, but not sure the first step to take. Which holster is right for you? Will you automatically know how to draw safely? Want to see it in person and touch it/handle it first? This clinic is your solution! We’ll discuss concealed carry options and try on numerous holsters to find one that fits you and your lifestyle. A Girl and A Gun Women’s Shooting League is a ladies only organization established by women shooters for women in the pistol, rifle and shotgun sports! The league is designed to take beginners to whatever skill level they wish to achieve and provide experienced shooters with more opportunities. 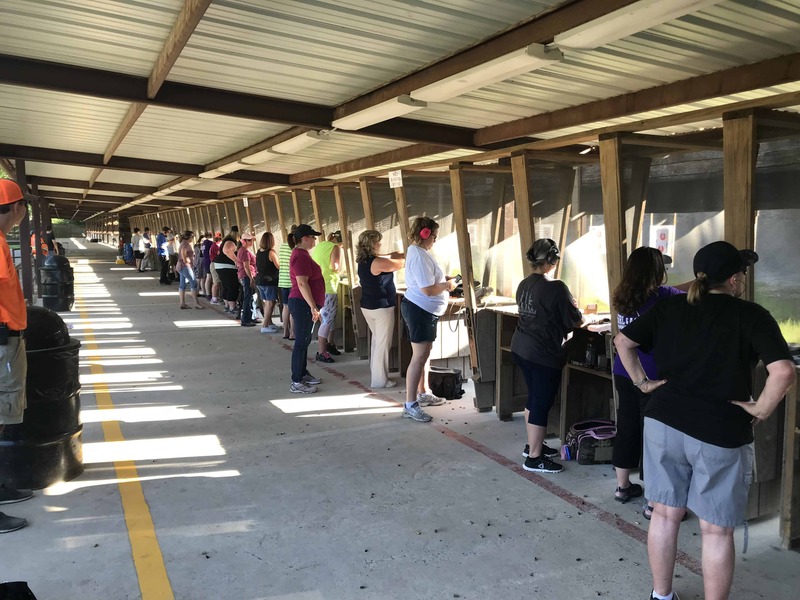 The Cypress Chapter meets the second Tuesday of every month from 5:30 – 7:30 p.m. as well as the fourth Friday every month 9:00-11:00 AM at the pistol range here at HW Gun Range. Couples Class: HW Gun Range offers classes for couples (whether married, dating or just best friends) to come and enjoy the shooting sports. Not only we you learn together, you can spend time together and sometimes even laugh together.